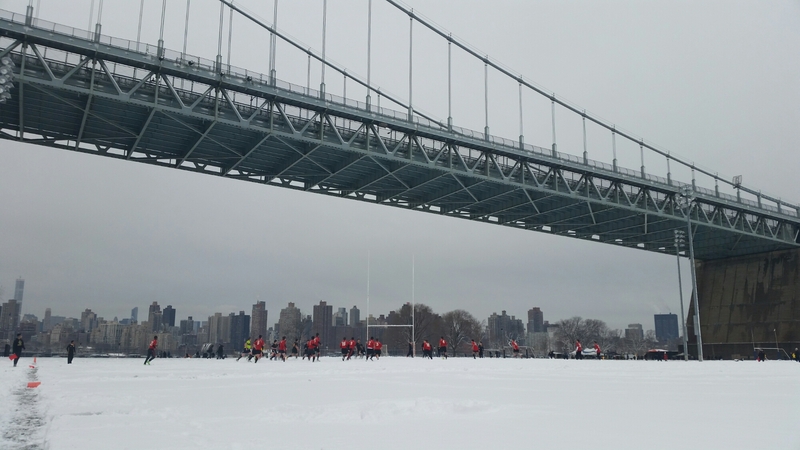 Beautiful backdrop for a day of snowbound rugby. First games of the year with teammates new and old. Nice pic! Does the bridge go over a rugby field? Might be fun to watch.